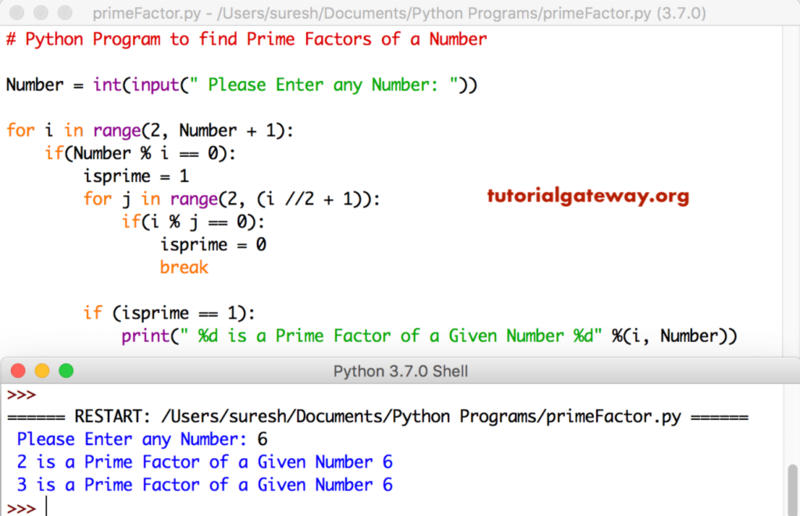 In this article we will show you, How to Write Python Program to find Prime Factors of a Number using For Loop, and While Loop with example. TIP: I suggest you to refer Factors of a Number, and Prime Number articles to understand the logic. This python program allows the user to enter any positive integer. Next, it will return the prime factors of that number using the For Loop.